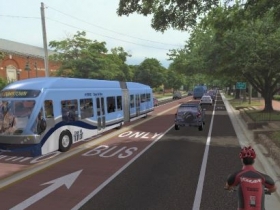 BRT Renderings. 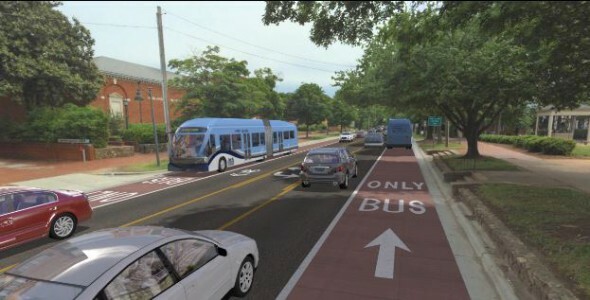 Rendering from of MCTS. 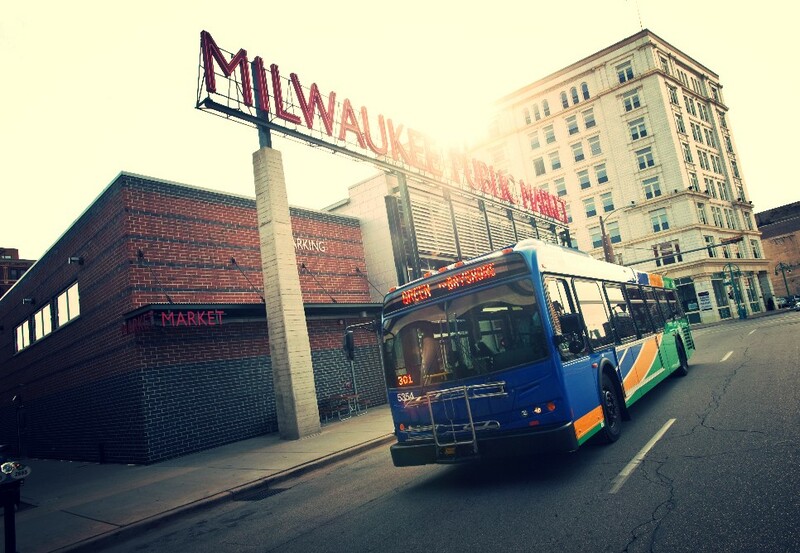 MILWAUKEE – Milwaukee County’s Bus Rapid Transit (BRT) Feasibility Study is launching a new website and holding two initial public meetings. The website, EastWestBRT.com, includes background on the potential project, benefits of BRT, some common questions and answers, short videos showing what BRT could look like and the map of the potential routes that are being studied. BRT is an increasingly popular approach in communities across the country to enhance public transportation services, reduce traffic congestion, improve mobility and increase transit ridership. 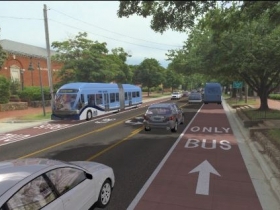 BRT systems feature specialized buses that stop less often and travel in dedicated lanes (see the pictures below for examples). BRT offers faster travel times than local service and many riders find it less expensive and more convenient than driving. 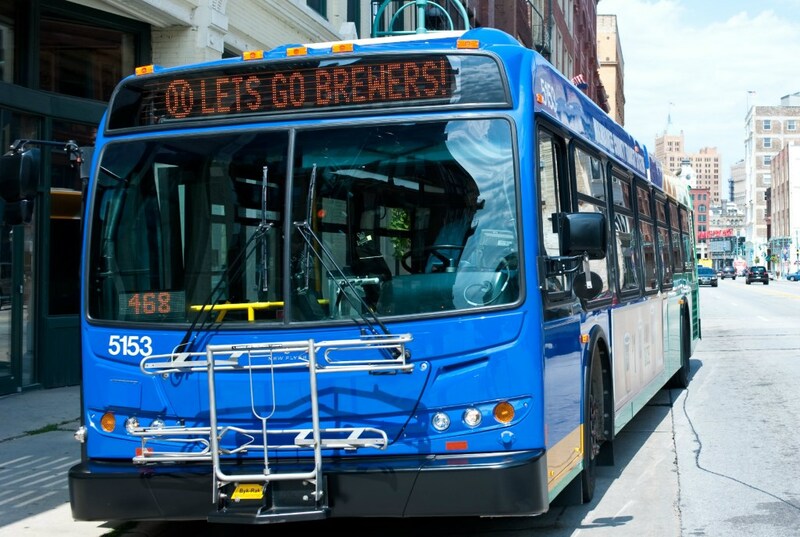 Because BRT is more frequent than local service, it improves access to jobs, health care, education and other essentials of daily life for people across the community. BRT projects can also support and spur economic development. While dependent on local conditions, Transit Oriented Development (TOD) following public investment on BRT projects in other communities have ranged from $100 million to $5.8 billion. Really? The regular bus runs every 15 minutes…am I to expect a BRT bus every five? We need to build and intergrated, multi-faceted transportation system similar to those that exist in many cities around the world. This is an element of that system.